The minimalist Cruze shower package brings substantial elegance to the modern bathroom range, features a stylish concealed thermostatic valve with diverter which offers thermostatic showering via two easy-to-operate controls for temperature and flow. 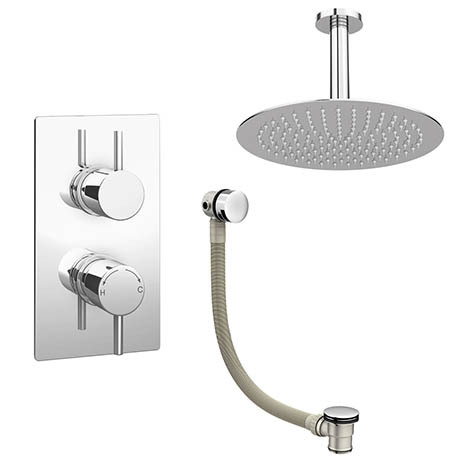 Diverts between two shower accessories: fixed head and overflow bath filler. Bath Filler Option - connects to hot and cold water supply.